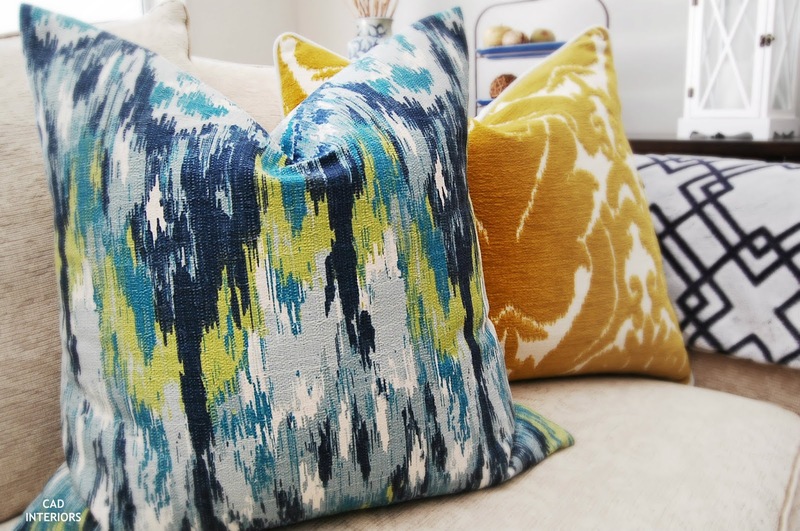 Pillows are a great way to introduce color, pattern, and texture into a room. I like to encourage my clients to invest in a few "custom" pillows, i.e. not off the shelf. I think mixing in a few custom options with off-the-shelf pillows is a great way to achieve a "designer" look on a "high-low" budget. 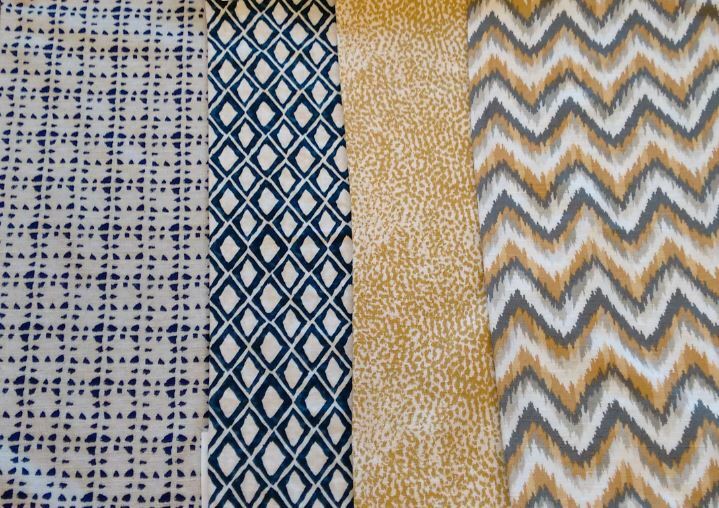 Sourcing fabrics for pillows (and other textiles) is one of my favorite aspects of design. Let me loose in a fabric "candy" store, and I am one happy camper! But I can also be easily overwhelmed by all the options. My advice to anyone looking for fabrics is to have a color scheme in mind beforehand. I believe that having a "common thread", like color, is what helps create successful fabric combinations (and keeps you focused). The color scheme provides cohesion among all the various pillow patterns I sourced for this client. Pillows are also a great way to create unexpected color/pattern combinations and make a unique design statement. 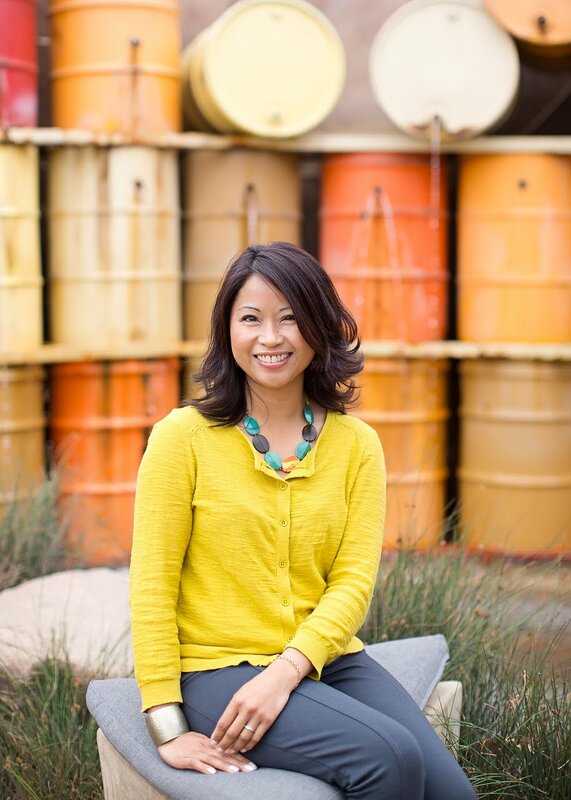 Don't be afraid to mix colors, patterns, and textures! Layering textures is especially important in tonal color schemes. 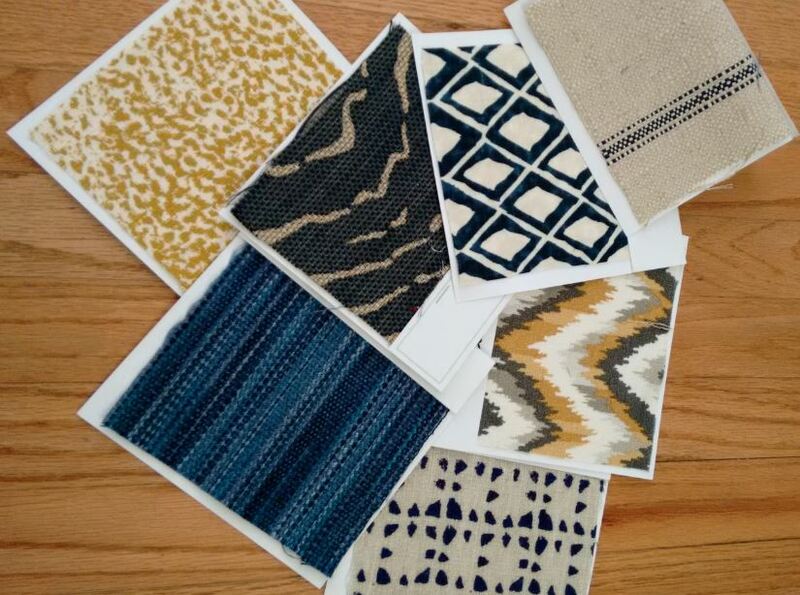 The minimal textile color scheme of indigo and yellow for this client project is a favorite of mine! Large pillows make a bolder statement. I like combining 22"sq - 24"sq pillows and large lumbars. Have only custom pillow covers made and buy the pillow inserts elsewhere (like a craft store or online). You could also reuse an existing pillow as your insert. Specialty online retailers is a great source for designer fabrics or pillows. I love browsing Joss & Main and Etsy. I did the mistake of buying ready made pillows and I have already wasted my money by throwing away several (they never dried after days so to avoid mold issues I threw them away). Now I am set on only buying covers so I can wash and dry them often. After we get through this round of renovations, I intend to purchase some new pillow covers (and larger pillow inserts too)! It's so much easier to store pillow covers than actual pillows too - if you happen to change things up as much as I do! Thank you so much for taking the time to comment. You rock! I am completely obsessed with pillows and love mixing and matching them but I do find it overwhelming at times so I loved reading your advice. Thanks for the tips! Who is the manufacturer of the lime green, blue and white fabric used on the pillow in the first image? I love it! Thanks Alicia! I purchased the pillow cover on Etsy. 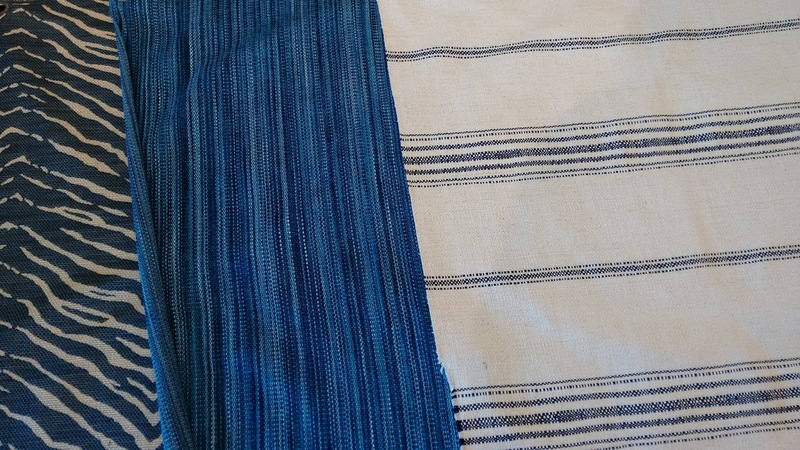 The fabric is called "Ikat Craze Birch Frost".